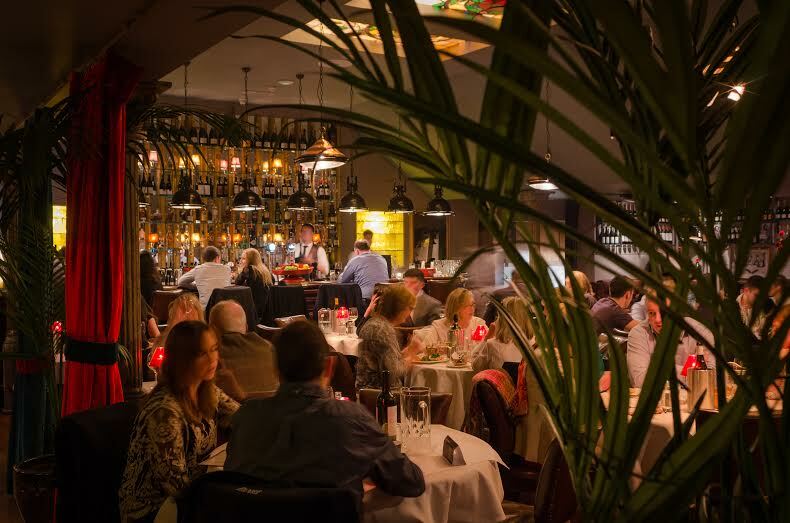 Whether it’s Marco’s Dawson Street restaurant or Marco Pierre White Courtyard Bar & Grill in Donnybrook, the alliance of the family-run Irish restaurant dynasty Fitzers with chef restaurateur Marco Pierre White raised the bar for stylish dining out in Dublin. You can depend on Marco and Fitzers to deliver a standard that is anything but standard. Expect your expectations to be exceeded. Everything was first class. I couldn't recommend highly enough and can't wait to come back really soon! We had a wonderful family  Sunday lunch, food, service and atmosphere were all brilliant. Thank you for looking after us. We had a wonderful time in the Courtyard on Friday for my Mam’s surprise birthday dinner. From the moment we made our reservation until we left, the service was great, the food was just gorgeous and the atmosphere was lovely, it was a perfect evening and all of the family truly enjoyed the night. We will be back again for more wonderful meals there and will be highly recommending the restaurant. 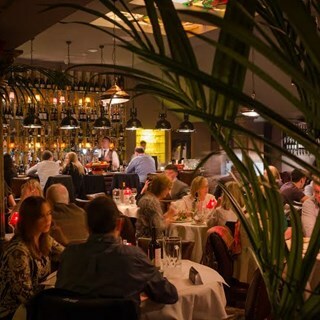 The atmosphere and ambience really help us all with a most enjoyable meal. Had a beautiful meal, the steak was amazing and the waiter was so helpful and friendly, he really went out of his way to ensure we had everything we needed. Will be coming back! Out of stock for beef main course, decaff tea. Seemed like they misjudged quantities. Food was bland and a bit disappointing. It was "ok" overall, just about fine. Excellent food and service in a lovely setting. From the moment we entered the restaurant we were made feel very welcome. We will certainly return. We really enjoyed our meal and the service was excellent. The noise level was quite high and it was difficult to hear the singer and musician which were wonderful. We will definitely come back for the next special celebration dinner. Pleasant atmosphere, however my wife’s prawn linguini had only 5 small enough prawns and my beef Wellington was definitely overdone (supposed to be medium) and I suspect re-heated from earlier as meat was chewy....chronically overpriced at €36. Staff quite good and dessert nice, wouldn’t be rushing back but may give another go. We had a lovely night in Marcos. The food & service was impeccable. Lovely evening. All the staff were lovely. No complaints. Food lovely, lighting, seating etc were very nice. Could have done without the crooner in the corner though....it's an open room so restaurant is quite loud anyway...so no need to add a few decibels on top.....but overall enjoyed the evening & would return. Absolutely faultless meal at MPW Supper Club last Friday night ... my friend had fillet steak which was cooked to perfection, and I had the free range chicken served on bed of mushrooms and wilted spinach which was delicious. We shared a crème brulee which was also absolutely delicious. Will be back! On Friday 22nd February 2019 the four of us had a lovely meal  two of us had the Beef Wellington which was beautifully cooked and we really enjoyed it, we had drinks sitting at the little bar, bar staff where lovely, pleasant and friendly. Over all we had a very enjoyable night. Great atmosphere, amazing steak. Could not fault it.